Jason Valdez lost 42 lbs. 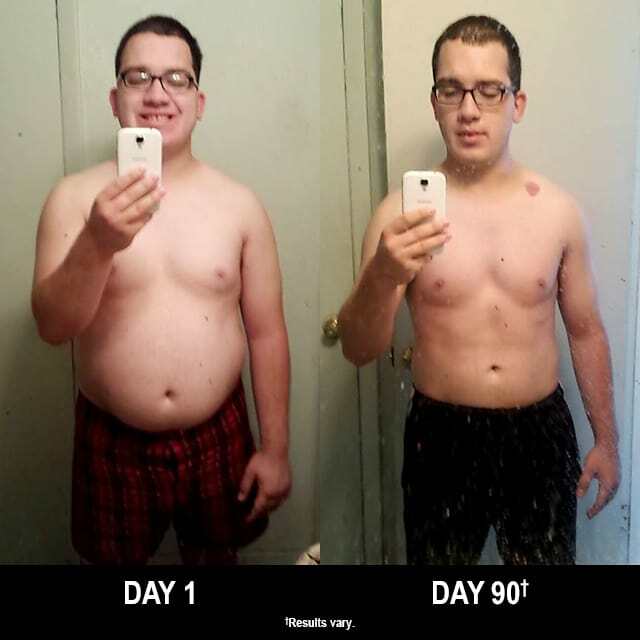 in 90 days with Body Beast. He entered his results into the Beachbody Challenge, and won the $500 Daily Prize for October 26th! Before Body Beast, I was very athletic and did track, football, and wrestling. I was an athlete after high school ended, and I did whatever I wanted, which eating was a big part of. I felt disgusted when I noticed how much weight I gained and people were saying I was bigger/fatter. When people started to notice that I had gained a lot of weight and started calling me “fat.” When I saw myself in pictures and disliked what I saw. I was never called “fat” before, and I needed to change! My greatest challenge was cardio day on Body Beast. That is the hardest of all days, but I survived it! I started with a group of people; on the third day, everyone quit. My greatest challenge was being self-motivated and not giving up! That it was all about dumbbells. I love working out with them, so when I saw them on TV, I knew it was time! I’m proud all around. My muscles grew, I didn’t need to take any supplements, and I proved everyone wrong. Now people are coming up to me and asking what I’m doing. I tell everyone what I’m doing. I show them Body Beast, and now I’m doing another round! People are doing it with me, and others at home are joining my success! Literally! My family is doing it now (lol)! I feel so much better! I’m 20 years old and I feel better than ever. I’m now doing round two, and I’m going to be ripped by the end of it!